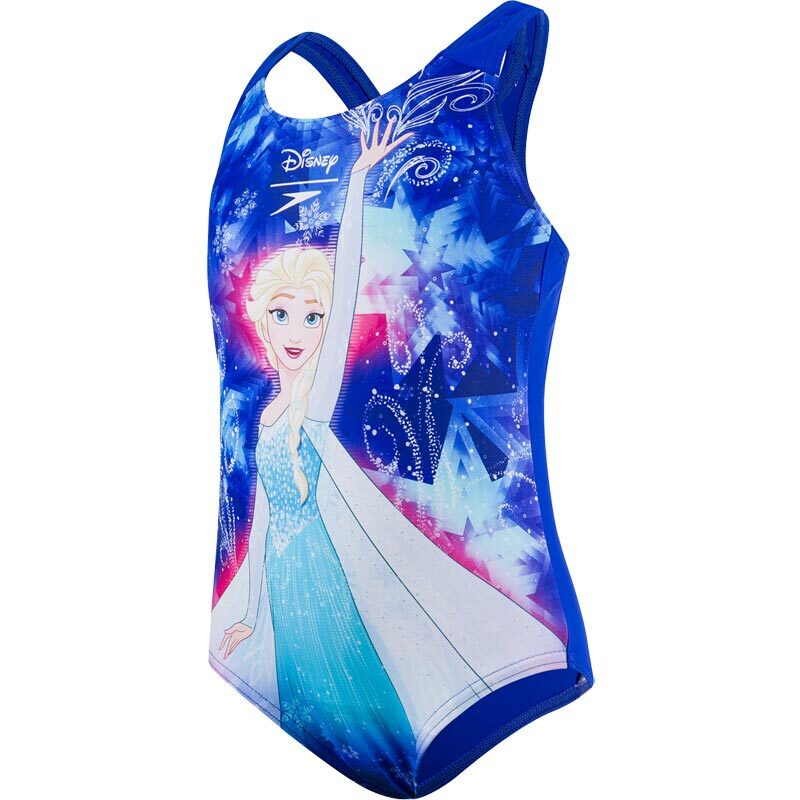 With its colourful design, the Speedo ® Frozen Swimsuit is a one-piece design perfect for splashing around in the pool. Comfy and stretchy, it allows your little one to play and explore in comfort. Made from chlorine-resistant Endurance 10 fabric, which fits like new for longer. Take Elsa with you next time you go for a swim! Racerback design helps keep the straps in place and enables freedom of movement. Digital print provides a great colour and definition. Higher chlorine resistance than standard swimwear material. Fits like new for longer with CREORA HighClo. Fabric stretches so you can enjoy your swim without feeling restricted.